I think it would look nice and more consistent regards branding if Adapta used the same blue color (#5294e2) as in Solus website. The autogen switches make this possible very easily. 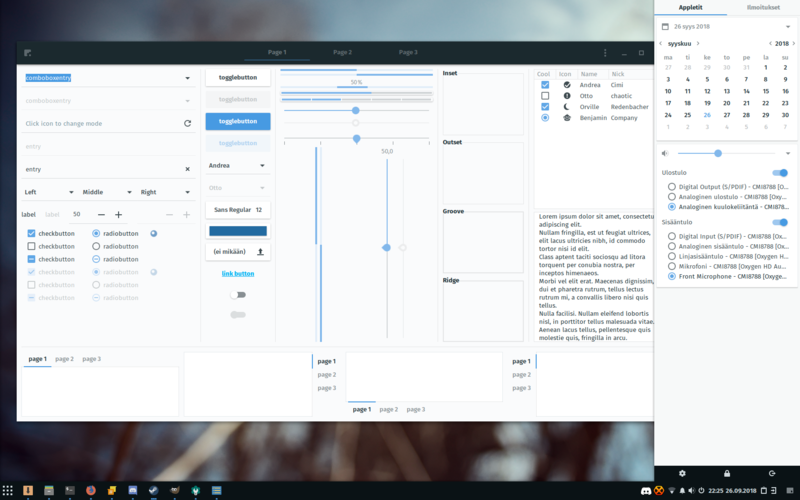 JoshStrobl added a commit: R338:302392684995: Adapta GTK theme: Use #5294E2 as main color. The Notifications Budgie applet is in the old color when a notification arrives. The Install button on apps in the Software Center is still in the old color. I think a separate package for the default accent colors may be more fit for people who would like to use them for the sake of consistency (kinda like the seperation of papirus packages). It's not the old color, since the "suggestive" color wasn't changed in the first place. I made D3986 to fix that (and T7024).